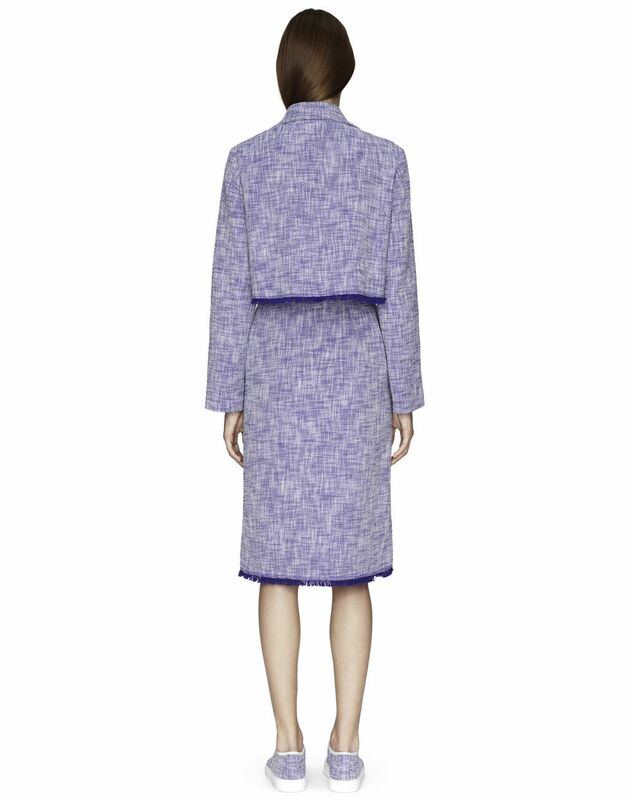 Long trench coat in dark purple cotton weave tweed, fringe details at hems, long sleeves, tailored collar, side patch pockets, and adjustable belt at the waist. 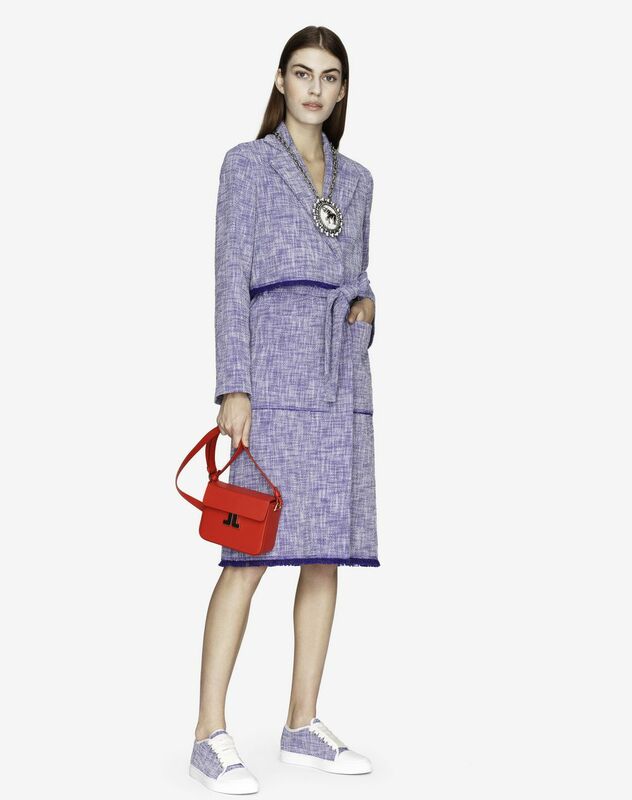 With refreshing, elegant style, this trench coat stands out for its timeless tweed material, featured here in a vibrant dark purple color and embellished with fringed hems, a Lanvin signature. Lightweight and floaty, this trench coat is suitable for any occasion and creates a feminine and fashionable look. Main material: 93% cotton weave, 6% polyamide weave, 1% elastane weave. Lining: 100% silk weave. Model's measurements: Height: 5’ 10” Chest: 33” Waist: 23.2” Hips: 34.6” Model wears a size 4. Made in Slovakia.